We are a boutique law firm specializing in business transactions. Our practice covers mergers and acquisitions, securities offerings and ’34 Act reporting, debt and equity financing, formation of LLC’s, corporations, cooperatives and joint ventures, corporate governance, general business contracts and literary rights. We combine personalized attention and recognized expertise to facilitate your goals. Whether your needs are simple or complex, we shall see your project through from start-to-finish. 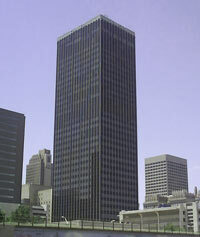 We are located in downtown Oklahoma City and since 1994 have served a wide range of clients across Oklahoma and the U.S. The material on our web site is for informational purposes only and do not constitute advertising, a solicitation or legal advice. By providing this information, we are not creating any type of attorney-client relationship. Persons should not act upon this information or use the materials on this web site without seeking professional legal counsel. We welcome email inquiries sent through this web site or to us by e-mail. Please note, however, your communications with us through this web site or by email do not create an attorney-client relationship until we have formally established an attorney-client relationship with you. Until we have formally established an attorney-client relationship, you should not send any confidential or sensitive information through this web site or through any e-mail address posted on this website.